This silver bracelet came with a purple pouch has a knot at the center and is adjustable. Upon trying it on it was super tight and I gently bent the bracelet to adjust to my wrist. The sides of the bracelet seemed to fit over my wrist fine, but the shape seemed a little off to me. The style is simple and will pair well with my other bangle bracelets. I was unable to find this designer online expect for Poshmark, and the value in prices varied, so I just went with the listed price off of the info card. This versatile hair mask is best for treatment and repair, protection from salt water, chlorine damage, and a pre-wash treatment. This mask detangles, controls frizz, prevents hair color fading, seals split ends, and restores silkiness and shine to your hair. I have my hair in a protective style, and this product is no use to me. I may pass on to a friend. I received a pink compact mirror with a standard mirror on one side and a magnified mirror on the other side. The front of the compact has “Be your own kind of BEAUTIFUL” and the companies logo on the front as well. The compact mirrors on the website are different sayings than the one I received. I keep a compact mirror in my makeup bag and my overnight bag, so I have another mirror to rotate out with the compacts I already have. Anyone who knows me knows I love pumpkin and enjoy pumpkin-flavored food. So, when I saw this in the box, I was excited, and it didn’t disappoint. The cookies were flavorful, crunchy, sweet, and had that pumpkin spice flavor. The cinnamon stood out to me and was the one ingredient that overpowered the rest. A yummy treat to devour on a crisp autumn day. Upon opening the box and inspecting the clutch, my first thought was it looked cheap and not worth the listed value of $65.00. A lot of times I wonder how the value gets calculated and if it truly is worth the listed price, unfortunately, there is no indicator on the product of the material except the manufacture location. This clutch can fit my iPhone 7 plus my lipstick, ID card, and ATM card and maybe one other essential item or it can be used to hold miscellaneous items that I can store in my purse or backpack. This particular item wasn’t on their website, so the value is from the info card. This spray intends to leave an invisible barrier that blocks the friction on my feet that causes blisters. Unfortunately, I don’t have any blisters and don’t have any shoes at the moment that are causing friction. The preheels are a favorite of the SinglesSwag team. This apple and mint polish exfoliates and moisturizes my lips. I tend to use a lip scrub on a weekly basis, so I was happy to receive more. It’s recommended to gently massage product onto my lips and leave on for two minutes. The lip polish left my lips smooth and soft, and the polish is heavily scented and smells of apples. Verdict: The October SinglesSwag box was a hit, and the majority of the items were usable, so that’s a win for me. My favorite items are the lip polish and the toasted pumpkin cookies. The box sends 6-7 items for your enjoyment, which include a food item, beauty products, accessories such as jewelry or items for your hair, and on occasional lifestyle product for your home or personal use. The value is there, and subscribers are receiving a variety of quality products that are triple the cost of the monthly subscription. This box can easily be your replacement monthly sub since PopSugar Must Have boxes have moved to a quarterly shipment. SinglesSwag gives out monthly spoilers on their boxes, so be sure to sign-up for notifications! This month’s box has a value of $210.39, which is incredible for a $40.00 box, including free shipping! 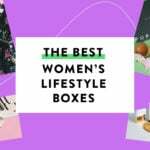 Hands down my favorite women’s subscription! Can you still get this box if you sign up today? Yes, you will receive the October box. This box is simply not worth $40 a month…..ever. I have had this sub before at a discount which is the only way I will buy it. The RVs are always inflated and while I have discovered some real gems in the box, there are a lot of junky duds. The “clutch” was more like a really slim plastic-feeling pouch with cheap plastic lining. No way this is an evening clutch. I’m using it as a pouch to hold work receipts in inside of my purse. I’d pay $5 for it at the Target One Spot, not $65. No way. Singles Swag is notorious for really inflating the price of their box items. I’ve definitely seen similar bracelets on amazon for less than $10. I agree with you about the clutch too. Usually this box seems like a decent value, but this month is a huge disappointment. I like the bracelet but I don’t like the fit, a bit tight for my small wrists – and off center. Not impressed with the clutch. It does seem small and cheap. Will still use it to hold things in my purse or give to my daughter. I was looking forward to the cookies but instead I received Pirouline dark chocolate wafers. Just looked closer at the clutch. There is a white tag inside that wasn’t put in the bag properly when they sewed the seam. They actually sewed the seam with the tag sticking out. Even if I try to cut it off it’s still going to show. This is really poorly made. You lucked out on getting those wafers. I read some comments on Instagram from people who said they received a unicorn cookie instead. That cookie was in the June box. Eek! Actually I really liked the wafers. I had quite a few with my coffee. Lol! Nelson J Beverly Hills Moisture Healing Hair Mask—very nice. It really made my hair shine ! VIOLET HARPER KNOT BRACELET–I was so looking forward to this bracelet and I am mourning not being able to wear it. I have a medium wrist but yet had difficulty putting it on as the metal has no “give” at all and once on my wrist, was very uncomfortable. I gave it to my niece who has a small wrist. JULES KAE COPPER CLUTCH– this is not a clutch! It is an envelope. It is just 2 pieces of leather type material sewn together. It is not of any use for ANYTHING. It went in the garbage ! The SS box was good enough however for me to continue my subscription. I was excited about the October box because the bracelet and clutch looked super cute on the spoiler picture. When I opened it I was not impressed though. The clutch looked cheap indeed, no way that was it’s real price. The clutch is oddly stiff. A few years ago, I bought a few gold clutches from CVS to give as presents that were much nicer than this one. Most of the finish has already rubbed off of my bracelet and it’s a brass color now. I thought this box was a huge disappointment and I’ve already cancelled. OMG! I just realized I didn’t get the cookies in my box. I didn’t realize the bracelet was adjustable. I can wear mine as it is, but I’d like a little more room. I’ll have to fiddle with mine later. I will use everything in this box (eventually), but it’s a little boring. Those pumpkin cookies were gooooood!